Between the main streets Francigena and Cassia, the Holiday house Linearis and Podere Sertofano offer to the travellers the possibility of relaxing in the peace of tuscan countryside. A few miles away there is the highway Firenze-Siena to reach the major tuscan cities, many places of artistic, historical and cultural interest, some world-famous and others to be discovered. In 1998 our family bought the farm and its lands around, restructured with care to 6 years, to full respect for the authenticity of the structure. 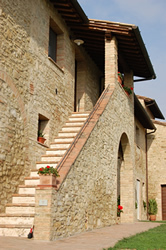 The oldest part dates back to 1600, period of creation of the farm in Tuscan, which was used as sighting tower. Then the rest of the building and the farm, with the apartments upstairs and the stables downstairs, were added to the tower, in different periods (the last was in 1847). 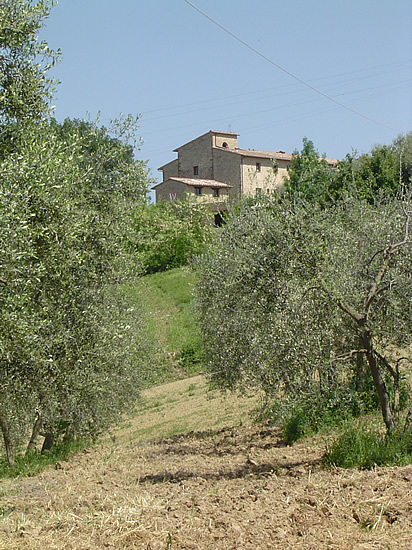 Today the farm is the centre of our company which is interested in extravirgin olive oil production, with Igp trademark cold squeezed, and Chianti grapes production with controlled designation of origin guaranteed (DOCG). 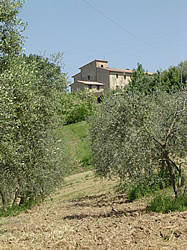 The Holiday house Linearis has six apartments, obtained by the walls of old farm, from old barn were derived the two apartments of Sertofano Farmhouse. Near the apartments there is a second little barn restructured as launderette, a public bath, a point of information and wi-fi zone for the guests and the old equipment room is now the reception. The farm is family-owned and one of owners lives in the structure. You can undestand our love for this land by the thidy garden, watered, during hot months, with rain water collected in a cistern. We have a little photovoltaic system for the production of energy. In the farm the separate collection of rubbish is very important. Surrounded by olive grove, vineyards and monumental plants, the apartments are independent, furnished with all comfort, with a simple and pretty style. Everyone has an own outdoor furniture. The Farm has the pool, with the access to the beach, and a depth of 160 cm, opened from Easter to the end of September. In the opposite side to the pool there is the barbecue with outdoor tables and a playground for children. Besides outdoor parking the guests can use the covered payment garage and in the garden you can use free wi fi. Nature lovers, we don't use pesticides and for the cleaning of the apartment we use just ecological products. In our farm you don't find the microwave, bad for the health, the bathtub, to don't waste the water, and the taps have a water reducer. In the night the farm uses low energetic impact lights so you have a dinner looking the stars. Just a house in the country. For us our guests are very important people and we meet their requirements. For us it is a real pleasure to help you for the museum bookings and organize activities around the Tuscany or specific trip. We believe that our Farm is ideal to spend a smart and indipendent holiday, in a country full of big contradictions and a touching beauty with traditions and big arts. Your pets are accepted, with a little payment. Chair and cradle for your children are free, but on request.